We back with another one of those hot off the press updates. Due to us pushing out a lot of information in the past month this one will be pretty brief. We have been really pleased with the direction of the server and have been seeing people now fully settle in alongside an increase in community interaction and active player base logins. Major issues and bumps are for the most part completely smoothed out which has paved the way for us to introduce some exciting new concepts down the line! War rules are going to be pushed back until summer of 2019…..just kidding! They’re fully complete and have passed the admin review process. We will be posting them later on this week at which point they will be there for people to read over and shortly after applications will be allowed to be filed. It’s been awhile and more information and specific details, such as CB processes, will be explained in a later post. Wars are always a very hectic environment and there will be an emphasis placed on dividing ooc and rp feelings. We are not looking for repeating issues of people taking things personally and a lot of what was written into this version of war rules will account for that. Nation and charter management is still working smoothly. We are getting to the point now where nations are now having enough funds to purchase the remaining land leftover which is very exciting. Over the next month or two we will probably see some nations become charters and charters become nations which will reflect the small changes in roleplay and player movement we can see in the data. Due to the high amount of charter applications some of these processes are taking a little longer than expected so please be patient with us as we work through this. If you have any questions please always refer to the information post on charters and nations before messaging a moderator. Cloud Temple shops are now mainly fleshed out. There are a couple of items that we would like to see added, but due to technical restrictions they will likely never see the light of day. If there are blocks or items that you think should be sold leave a comment down below! There is a brand new shop set up that has a special item used to capture mobs. It was our April Fools Day joke which is now not a joke. We encourage people to use these especially on horses since it will contribute to helping the server perform adequately. The shop will be changed over to something more LoTC themed this month in April. Speaking to moderators and receiving aid. This is an area I wanted to touch on in the changes section to mention that if you have an issue with a verdict or if you disagree with it please cross-reference that to server rules. Often times players will disagree with something, but in fact it is a server rule. However, if there is a legit issue reach out to the moderator in question and if you are still certain that the situation is not correctly handled contact a moderation staff manager. We encourage an environment of discussion that is constructive, however, when that devolves into name calling and other inappropriately constructed insults it will not be received well. This goes beyond just player and moderator interactions as well. Treat others with the respect that you want to be treated with and it will be given back. Moderation Staff received a total of 3800 modreqs in March. Congratulations and thank you to: Kaelan, Punisher, and Ioannis for taking the most tickets in that respective order! It was awesome seeing these individuals step into the team and really contribute a lot during their first month. The monthly quota for Moderation Staff 3%, for this month that meant an individual Mod had to complete a total of 114. Below you can view the general statistics for all members of the team. Keep in mind some new Mods were added to the team late in the month and some Mods were on leave for real life reasons. We will be taking out the bonus point claim graph from here on out since it is an optional submission on the moderation side of things and the data does not accurately reflect reality. ScreamingDingo for leading up the final drafting and review of war rules. Gamma_Byte for build support and helping with decorating. there should be a shop for horse armor! Character Race: "AME AME AME"
Ok, not to Mention the numbers but that’s a huge load of work Right there! Appreciate the Moderation Team and the work they do! 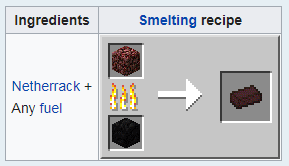 I might just be missing it in the resource pits or in the CT shops, but what about regular Netherbrick? I saw red netherbrick but you can’t do much with that in this current version. Could we please Get an update on what's going to be done with Alchemy, Enchanting, Herblore, professions and the like? Is this something that is being worked on actively? It’s kind of tiresome not being able to use enchanted tools when you’re clearing out thousands upon thousands of blocks. Bless your heart, I’ve only been playing minecraft for like 9 years. You can’t expect me to be know the game.